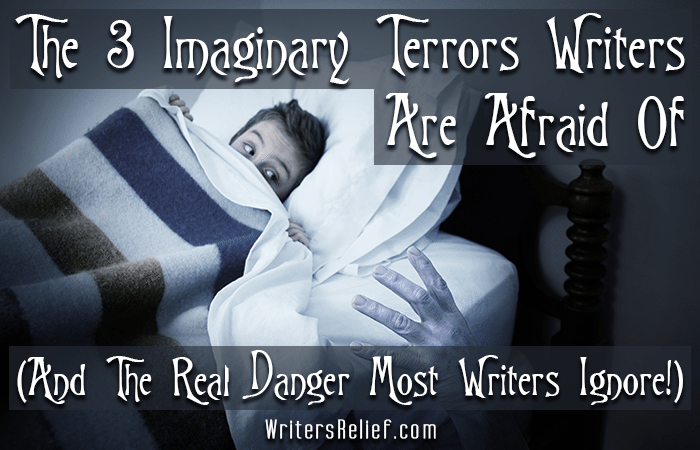 The 3 Imaginary Terrors Writers Are Afraid Of (And The Real Danger Most Writers Ignore!) - Writer's Relief, Inc.
With Halloween approaching, children’s thoughts are filled with zombies, vampires, and other bugaboos. As adults, we think we’ve outgrown our fear of monsters. But the truth is, many writers are haunted by paralyzing, seemingly monstrous fears when it comes to submitting, publishing, and building a reputation. Don’t Let These Imaginary Monsters Hold Back Your Writing Career! Fear #1: Not being good enough as a writer. When that piece you were sure was a winner instead gets rejected, it’s easy for your confidence to crumple like a trick-or-treat candy wrapper. Take heart in knowing that every writer hits a rough patch now and then. It’s just temporary. Fear #2: Being judged for being unpublished. Many writers worry that being unpublished will keep them from getting published—but that’s not the case! At Writer’s Relief, we’ve had MANY writers come to us without any publication credits who, with our help, went on to garner major literary awards, or publication in literary journals, or even agents. Does a “dream come true” deal happen to every writer who works with us? No. But those who have talent and dedication see a steady, measurable improvement in their acceptance rate. Writer’s Relief can work with you to develop a personalized submission strategy—no submission spam, ever! We’ll take care of everything. You just write. Fear #3: Asking silly questions. Many writers button their lips when they should be speaking up. No one wants to look ignorant, but remember: Every writer is a NEW writer at some point. And veteran writers know the value of asking questions. The trick is to ask questions in a safe, supportive environment and to get the answers from people who have lots of proven experience. Our clients value the support they receive from their personal submission strategists here at Writer’s Relief. There are no silly questions—the only thing silly is not to ask! And What’s The #1 REAL Career-Killing Danger Most Writers Ignore? Even the BEST writers will fail to get published if they’re not consistently submitting professional, well-targeted submissions. And yet, few writers working on their own have a practical, viable PLAN for making submissions. Successful submissions can be a numbers game—so that means investing time in planning, researching, and executing a long-term submission strategy. That’s where Writer’s Relief comes in! Our submission strategy has been recommended for 20+ years because we get results. QUESTION: How many submissions will you make in the next month? It’s great that you’re already writing! Most successful authors would say that the best thing to do is “write what you know.” Instead of writing about older teens, write about people your age and their emotions, problems, and actions. This way, your writing will be authentic. Instead of getting bogged down in a big historic project, you might want to consider starting with a short story. There are many places that are interested in the writing of younger authors. You can find a great list here: http://www.aerogrammestudio.com/2015/03/26/publication-opportunities-for-young-writers/. Check out these publications to get an idea of what other young writers are doing and the type of writing the journals are publishing. The best way to learn is to read, read, and read! Good luck with your writing. One of my fears is writing a book set in a different era and managing to mess up the facts because I haven’t researched that time period enough. I wrote about three paragraphs set in the time of the Spanish Conquistadors and I spent hours researching just the food they ate in Spain during that time. Another scary thing about publishing is the idea that someone you know will pick up your book, read it and hate it. I know that it is important to have critical views of your work, but when it’s someone you know judging your skills as an author, it can be rather daunting. I also have a question: I’m thirteen, so I find it very difficult to write about people in their late teens and adulthood. How much do people change in terms of the way they view life and the way they act from age thirteen, to say, seventeen and if they do so dramatically, would I be better off writing for an audience my own age or younger? I wish we could get input from a successful literary agent as to what the selection process is actually like for them. It does seem, as the above writer mentions, that you can submit something to an agent which seems to be dead-on in terms of what their website says they are looking for, only to get a “this is not what I’m looking for” response. Are these responses euphemisms for “you don’t write well enough” or “we’d never be able to find a publisher for this”? If so, that would be helpful to know. You want a comment? The literary agents say that they want this or that and when presented to them, they readily find fault. “Nice, but not what I’m look for now” is a common pass off. “The wrong type of story, but keep trying”. And the list goes on. Since most writers are women I’ve noticed the literary agents want Romance, everlasting love, etc. etc. Well, life is not like that except only in stories. Thank you for this article Writer’s Relief! What a relief you guys truly are! I will be submitting my work to you, which I am tidying up. Fortunately, I have none of those fears, and I just care enough to learn as much as I can and get as much assistance, to launch my destined career as a man of the PEN (Poetry, Essays, Novels)!